We just stayed 4 nights and had an excellent stay. The front desk was busy at check in, but the women were organized and quick. Our room was clean and all we needed for a beach vacation. The hotel had plenty of people cleaning rooms and maintaining the facility. Three days in to it we realized it came with free breakfast. The pool is a wonderful size with plenty of lounge chairs. It's 2 blocks from beach and 2 blocks from McDonald's. Great restaurants with in walking distance. For the what you get the the price you can't beat it! My family has had a reunion here for the past 22 years and we keep coming back. We were taking our 2 kids 5&3 years old for their first trip to the Beach. The hotel was very clean. The room, beds, and bathroom. Seems remodeled to me with new paint and tile which is very good. The pools were clean and the staff was pleasant and had a positive attitude. I would recommend this hotel. When going to the jersey shore, you kind of expect a decent room and run down a bit. Not the case here. 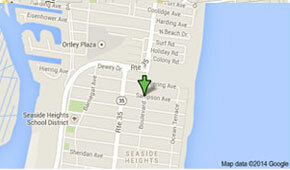 Located 2 blocks to the beach, which was a 10 mins walk nothing more. That's from our room to the beach. Seaside itself was very clean compared to what we remember. No trash or glass on the beach. Our experience was 5 star and we will be booking here next year with another family. My partner and I just returned home after a fabulous stay and this motel. The room, the restaurant, the pool and the grounds were immaculate. The housekeeping staff were thorough and polite, and were highly accommodating. The complimentary breakfast was delicious and filling and the service was impeccable. Highly recommend! Rented 2 rooms for my daughter and her friends for Memorial day weekend. I assume it was sold out by the size of the crowd. Yet the staff did a great job handling the volume of ppl. Many of who were young and not always the easiest guests to deal with. Check in was very organized and painless, there was a line at check out but not bad. Thanks for an enjoyable weekend. I love this I stay here every year for the last 7 years. 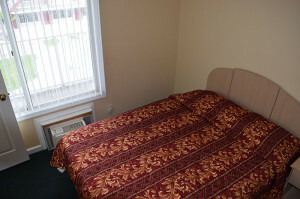 rooms are very clean and staff is great! Just would like to know we stayed this passed monday and check out tuesday, We were happy with everything except that when we booked it we did not know at the time that the restaurant and the bar does not open up until July. We will come back but we will make sure it is when they are open. I have been coming to The Hershey Hotel for more years than I care to admit. I've never had a bad experience- it feels like home away from home. The location is ideal. Following a make over in recent years it is now better than ever. And as I slide into a "mature" older woman The Hershey has become a tradition for me and my girlfriends. We leave the husbands, kids and grandkids at home for a few days of peace and relaxation here in Seaside. Best therapy for whatever ails you!!!!! 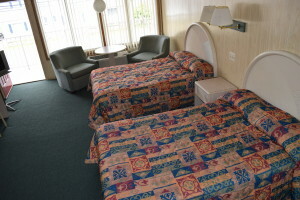 Get away from it all and enjoy the comforts The Hershey Motel has to offer! 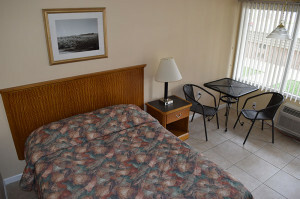 We are the largest motel in Seaside Heights, nestled on two acres, block to block, just one block from the beach and boardwalk! 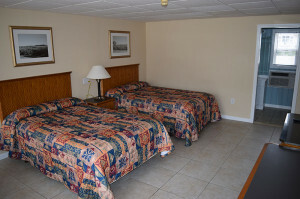 With over 60 years of experience, we cater to the vacation needs of families and couples with our clean modern rooms. Our Economy Single rooms are sure to please. Meant for 2 people, these rooms will add to your already delightful Jersey Shore Vacation. Our Double Room features 2 full sized beds and can fit 4 people very comfortably. These rooms are on of the best values on the Shore. Need to fit more than 4? Our Suite will accommodate 6 people and includes a pull out couch. Again, a real value on the Shore. Need more square footage than the suite? 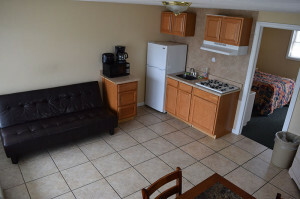 Larger rooms and a kitchen is included. The “creme de la creme” of rooms in Seaside. Want an even bigger room? Try our largest and most spacious room located in the back building, complete with a private balcony. Cancellation Policy Compliance with the reservation cancellation policy which allows cancellations seven days prior to the check-in date for a full refund of deposit, less then seven days no refund is given. This assures us that we can turn away other potential guests for the dates indicated. Changes in pre-existing reservations must be made seven days prior to the check-in date. It is understood that the Hershey Motel cannot accept responsibility for inclement weather, changes in the travel plans, personal sickness or injury, etc. No-show Policy Should a guest not arrive on the scheduled check-in date, the guest will be charged a no-show fee, and the remainder of the reservation will be cancelled. The no-show fee is the deposit amount for the reservation. Copyright © 2015.Hershey Motel Reviews Website custom designed by CMS-custom Merchant Solutions 877-267-4770 All Rights Reserved.